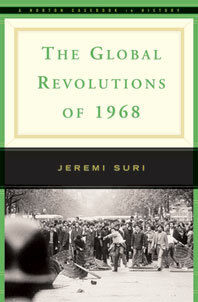 The revolutions of 1968 represent the culmination of 1960's protest movements across the globe. This casebook explores the common sources of protest and the mechanisms by which unrest became a global phenomenon. It also includes in-depth discussion of how different countries reacted to the protests. The documents reveal common experiences across national boundaries for protesters and government officials alike. In particular, the voices of protesters included here illustrate how events emerged from a constellation of ideas circulating among young people in different cultures.